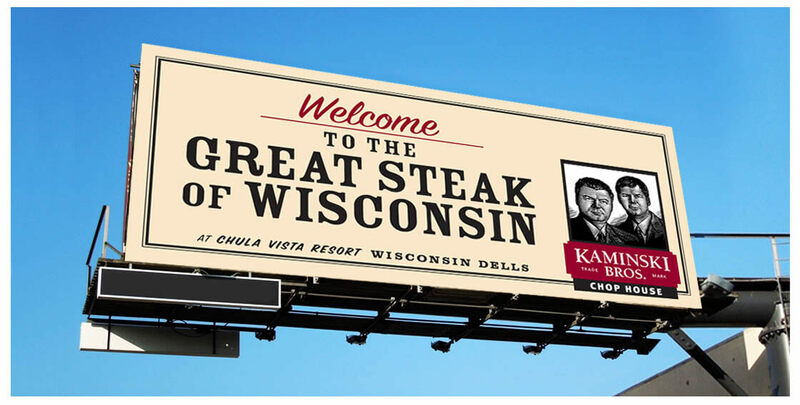 Reflecting the Wisconsin Dells’ evolution into a business convention and conference destination, the Chula Vista Resort wanted to woo big spenders with a signature steakhouse. 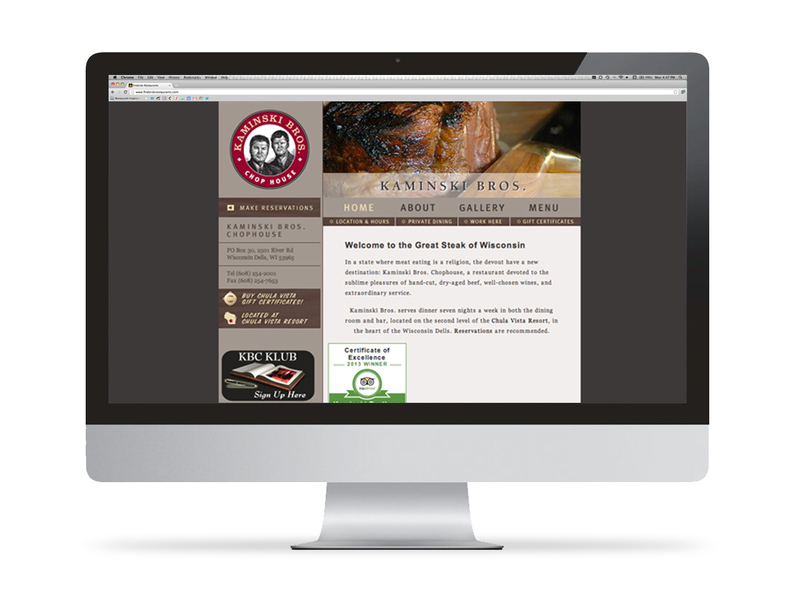 We gave it an identity that communicated the experience. 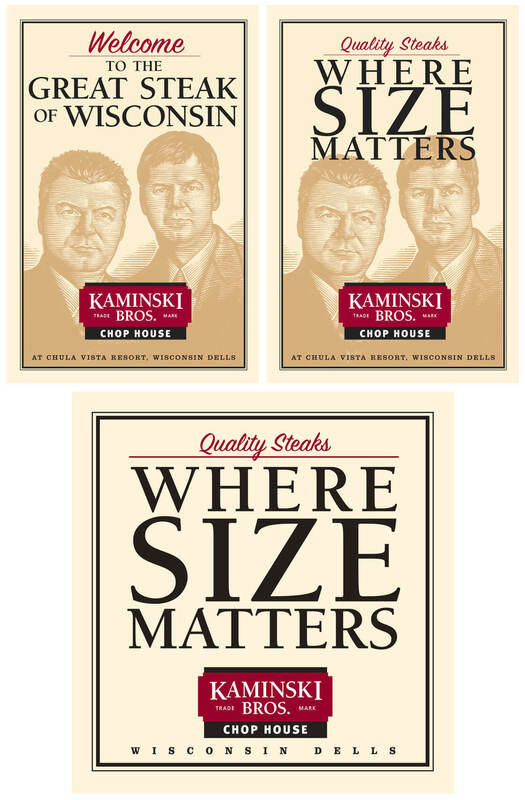 For the Kaminski Bros. logo, we commissioned a woodcut illustration of the owners. Ads left no doubt as to the restaurant’s masculine, meat-focused nature. Billboards made a bold claim, and the restaurant backed it up.